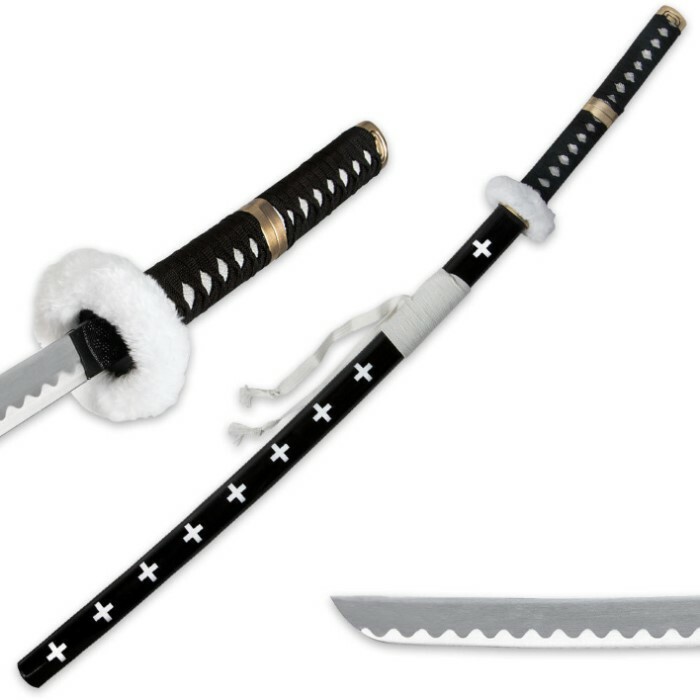 We've got another quality anime sword for your True Swords anime collection! 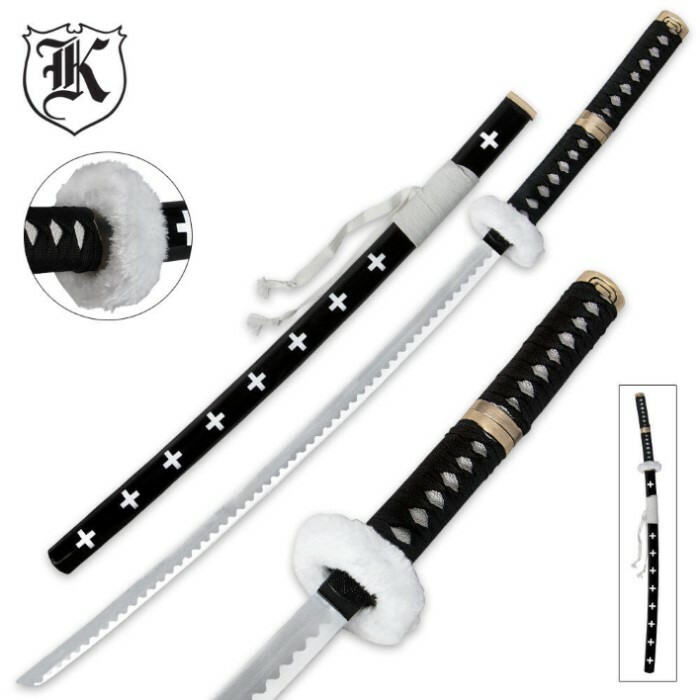 This unique two-tone black and white design brings you an eye-catching anime-style sword with a 26.5 in. stainless steel blade. 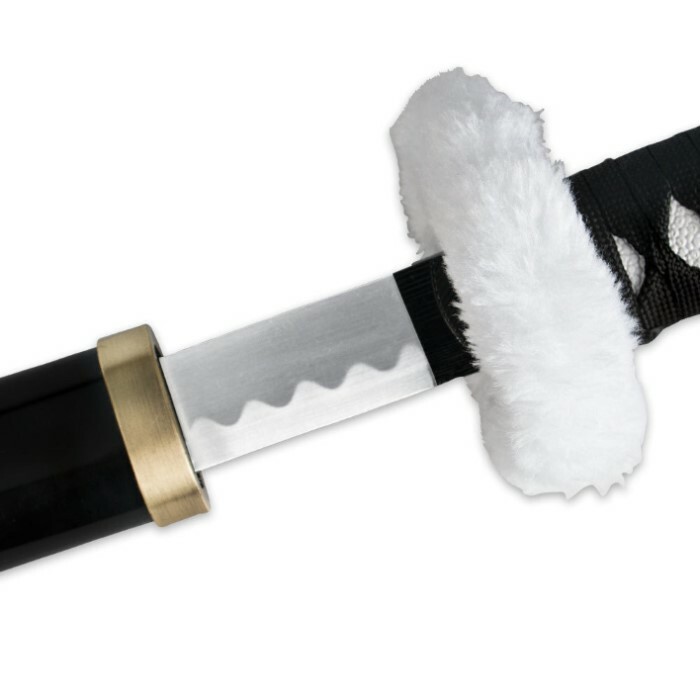 A white faux feather wrap adds a contrasting touch to the black tusba, giving this anime fantasy sword a very distinct look and feel. Antique brass-finished embellishments complete the white faux ray skin and black cord-wrapped handle. A coordinating black and white scabbard with additional antique brass embellishments completes the package.